Search Engine Optimization strategy is one of the toughest to plan and manage for most marketers. With regular algorithm updates from search engines which can drastically impact your rankings, you have to continually spruce up your SEO plans. Yet, there are certain SEO pillars that have stood the test of updates and have stayed at the center of most of the SEO approaches. 1. Focus on a Primary Topic: Make your website about one topic. Well! there can be other topics too, but choosing a central theme is a good SEO strategy. Research for a relevant ‘Keyword’ or ‘Search Phrase’ related to your theme and use this keyword across your content to show up better in search results. You can use Google Keyword Planner to discover keywords and keyword trends. 2. Content is still the King: Prioritize readers over Search Engines- Choosing keywords doesn’t mean you can sprinkle them liberally across your content. Yes, keywords used to drive search results but now Google penalizes badly written, keyword-stuffed content. So Beware! Create amazing and engaging content that is written keeping in mind what your readers would like to read. The key is to create stuff that is unique and better than the rest. 3. Keywords at strategic positions: Titles and Headers- Use your keywords where they matter the most. You can organize your articles or posts with Titles, Headers, and Sub Headers – let these be as close to the topic you are writing about. This way of organizing serves as a flag for your readers when they are sifting through the pages and also tells search-engines what the post is about. Ok! which URL would you have preferred to click? The second option clearly indicates what this link is all about. Not that, the first option won’t work but the URL with the relevant keyword will help guide both the user as well as the search engine algorithm. SEO Tip: URLs should be simple, easy to understand and easy to type. 5. Optimization of images: Use of alt-tag Image name and Image Tag are both important for users as well as SEO. It is easier for the user as well as the search algorithms to search for images that have a name in it. Use relevant keywords(names) in image name as well as image alt-tag. Image alt-tag is a text designated to an image on a website, which appears if the image fails to load for some reason. So instead of naming your image as 1211.jpeg, name it as littleBlackDress.jpeg for it to rank higher in search results. 6. Internal and Inbound Links It’s good to talk about the good content you have produced. -Link to your best content from other pages of your website. Tell readers about what interests them is available on your website. Links from other sites is a ‘vote’ for your site. Google relies heavily on external links to determine the ‘goodness’ of your page. Produce superb content by researching and investing time on your posts. You can also encourage other websites to link to you and do some ‘link building’ to get links to your page. 7. Site Speed is important: Slow loading website is a bad user experience and can frustrate the user and increase your bounce rates. eConsultancy says “40% of people abandon a website that takes more than 3 seconds to load.”. In 2010 Google included Site Speed as a vital ranking factor so get rid of non-essential items like large images, flash graphics, unessential widgets, music players, plugins you don’t need, etc. 8. Consistent and Fresh Updates: This is a no-brainer. Sites that are updated frequently rank higher on search engines. That doesn’t mean you roll out content too frequently. But you need to be consistent and disciplined with your updates, squeezing in topics that need immediate attention. Produce fresh, unique and valuable content. 9. Link to external content: It might appear to be a bad SEO strategy to link out to other pages as it takes people off your page. But linking to relevant content is a smart SEO move. If done sparingly and if done well it provides value to your readers and tells search engines that you are trusted authority on a niche topic. Moreover, you can reach out to the owner of the page/post you link out to, and if they find your content interesting they can link back to you. 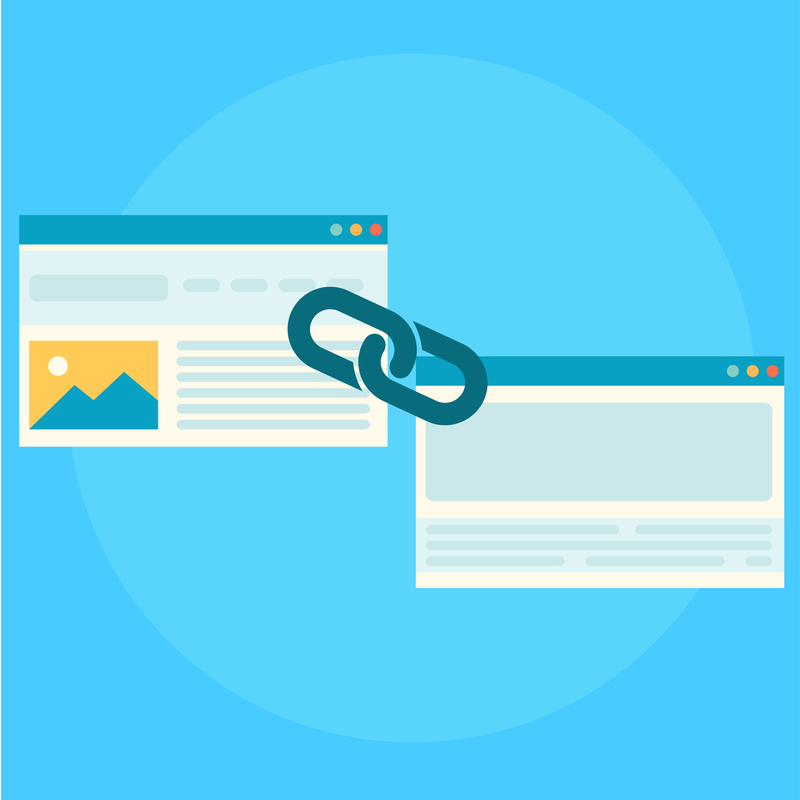 Link-building is a critical strategy for SEO. 10. Meta descriptions for every page: Optimizing meta description is crucial for SEO. Meta description doesn’t have a direct impact on rankings but a well-written meta description supports your page title, informs users what your page is about and encourages them to click. Since different pages will talk about different topics you should have a unique meta description for every page. A Meta description is more for the users than for search engines. Users can pick the most relevant result for their query with a well-crafted meta description and increase chances of your page getting clicked. Lastly, a good SEO approach is to always keep users in mind. Creating valuable content for your readers will take you miles ahead and help you generate significant traffic. Stay ahead of your competitors and rank ahead in the SEO game with these tips!